It's Friday! AKA the day after Thanksgiving. AKA Black Friday. Are you feeling as thankful as I am? The holidays are always such a special time. On Thanksgiving, we get to see so many family members in one day. Not only am I incredibly thankful for this opportunity, but I am so thankful for all of them. You know what I am also thankful for? My pups. I mean, how could you not look at their sweet faces and just smile. I didn’t exactly Google any of those names to see what would come up. Next time, maybe that would be a good idea. 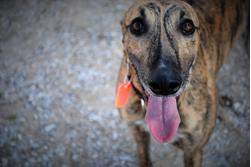 When the pups arrive at the shelter, they either have a name from the track or the volunteers give them a name. The names our pups arrived with were Ironman (Roman) and Dragon (Nash). Roman’s track name was JT’s Ironman. Nash’s track name was snapdragonpop. Look for a post about their previous life as racers in the future! It just so happened that the volunteers at the shelter decided to rename Roman (from Ironman). That name was on our list – it was just meant to be! About a week or so before we went to pick them up, I was set on changing Dragon’s name to Zeke. I even purchased a letter Z for a project I was going to make. Opps! On the way home, I was holding them both in the car. Well, kind of. For some reason, I had a change of heart. His name was Nash. 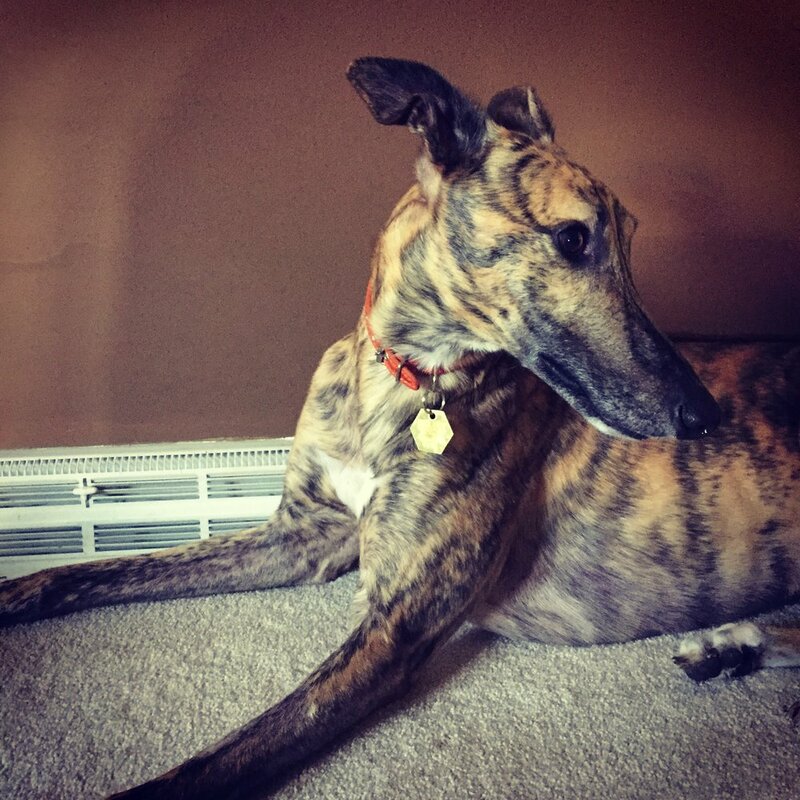 You don't realize how different a Greyhound's personality can be until you have two of them in the same house. Let's just say, I think their names fit them perfectly! 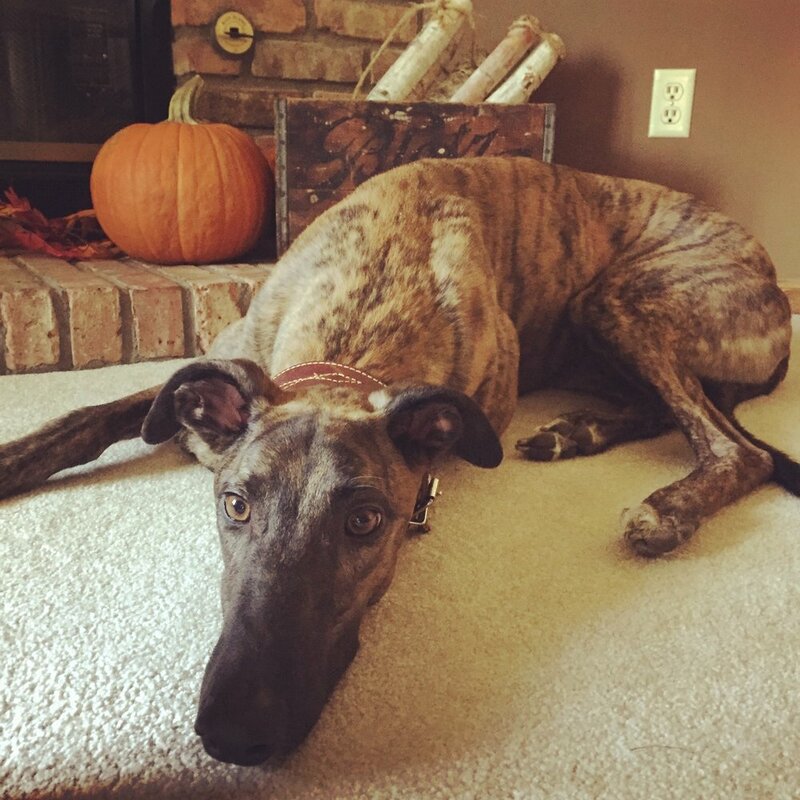 To check out all of the Greyhounds that are still waiting to be adopted, click here. Newer PostDecorating for Christmas with an 'under construction' home.